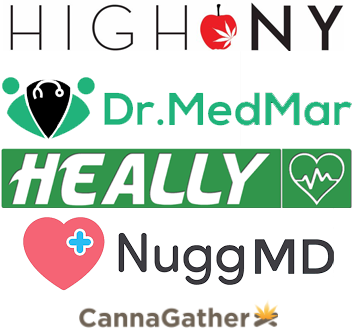 Are you a New Yorker Seeking medical marijuana? Hamptons Medi Spa provides video consultations to certify patients for a New York State medical marijuana card. We provide a live video visit via your computer/mobile device after a simple and fast registration process. Sign up now and avoid the waiting room. We’re the perfect solution for patients who have mobility or time restrictions. We bring you a medical professional to you safely and securely via the web. The highly qualified NYS NP/MD on the platform will listen and engage with you providing the most objective medical marijuana evaluations. After examining your detailed medical history and a face-to-face video visit via the web, you will receive your certification. Our telehealth platform is HIPAA compliant & fully encrypted, allowing medical professionals and patients to connect in a secure, safe and reliable environment. A simple and straightforward price of $200.00 with no hidden costs or fees. The certification is valid for one year. If you're interested in becoming enrolled in the NY MM program, you need to register here first. Hamptons Medi Spa has been featured in a multitude of magazines and news publications. Hamptons Medi Spa is in partnerships with all these great organizations. 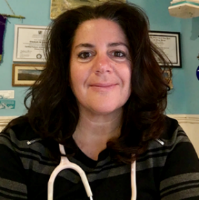 Meet Liz Cramer Ernst, NP, founder and owner of Hamptons Medi Spa. Liz has 30+ years experience in medicine. Her telemedicine business grew out of home visits she was doing in the Hamptons for visiting resort patients. In 2014, Liz’s mom suffered a spinal cord injury at the age of 79. After a few treacherous years, mom was able to live at home in a stable environment with all supplies and services in place as Liz monitored her remotely. Mom is now walking with assistance!! Most of our patients report 90-100% symptom relief with MM. This usually happens within the first dose or so. Those who take longer need a little closer monitoring and fine tuning of their meds to get to that “sweet spot.” We have quadriplegic/ paraplegic patients, Holocaust survivors, children with seizures and neurological disorders, cancer patients pre and post therapy, as well as those will all kinds of neuropathy: pins and needles, pinched nerves, slipped disc, degenerative disk disease, spinal cord injury, spasticity. Chronic pain of the joints, fibromalasia, arthritis and Irritable Bowel Disease are all helped with MM. We have patients with chronic use and overuse injuries as well as pre and post surgery MM users. Most of our patients don’t want to take strong painkillers, as they need to function and are aware of the risk of addiction and side effects these meds can have. Patients have reported: improved quality of life, improved blood sugar control for diabetics, stress relief, a good nights sleep for the first time in 12 years, a day without back pain for the first time in 10 years, etc. …..you can have great relief too! We have high expectations for you because this is what others are reporting. The data and clinical research all support the amazing results of MM, yet patients are pleasantly surprised every day! Check back for our blog, Pharmacist Q+A page, and more testimonials. Thank you for visiting HamptonsMediSpa! Connect to Hamptons Medi Spa medical professionals via our own compliant and encrypted live video platform. The NP/MD will review your history and help choose a product and ingredients customized for your condition. New York state allows for vaporized oil cartridges via pen, capsules, and an oral tincture. New York State does not allow smoking of marijuana or edibles. The MM is grown under strict supervision by NYState, the all organic product is free of contaminants, mold, etc and is tested by Wadsworth Labs. The MM products are certified, labeled and the quality is strictly controlled. You must carry the MM card with you if you leave the house with your MM. The certification is good for one year. Please make an appointment once you get your card to go to the dispensary and pick up your product. The pharmacist at the dispensaries are very helpful, will meet with you one-on-one, and explain all products and devices. All dispensaries now offer home delivery for your monthly meds. Most pharmacies offer competitive pricing and reduced rates for qualified patients - just ask. We encourage to return to our telemedicine site for updated information and more frequent visits with our providers should it be necessary. Registered organizations will be able to sell new types of products, among other changes.